In anxiety, I couldn't wait for my sister to go to Athropologie and Urban Outfitters with me... To maximize time and effort, I drag Josh to Urban Outfitter's the day before planning to go shopping with Meg. Walking in with my vintage hat in hand, I made a bee line to the Pins and Needles lace dress I found online! One of the girls restocking dresses asked if I needed help and I responded by pointing (with my hat) to the dress on the dressmaker's mannequin saying "I came in for this dress to go with my hat"! Amazingly enough, she said they just got those dresses in that day! Double woot! I pulled out the sizes in my range and went back to the fitting room to find the right size. I'm overly excited and happy that I decided to drag Josh out that evening for a couple reasons. 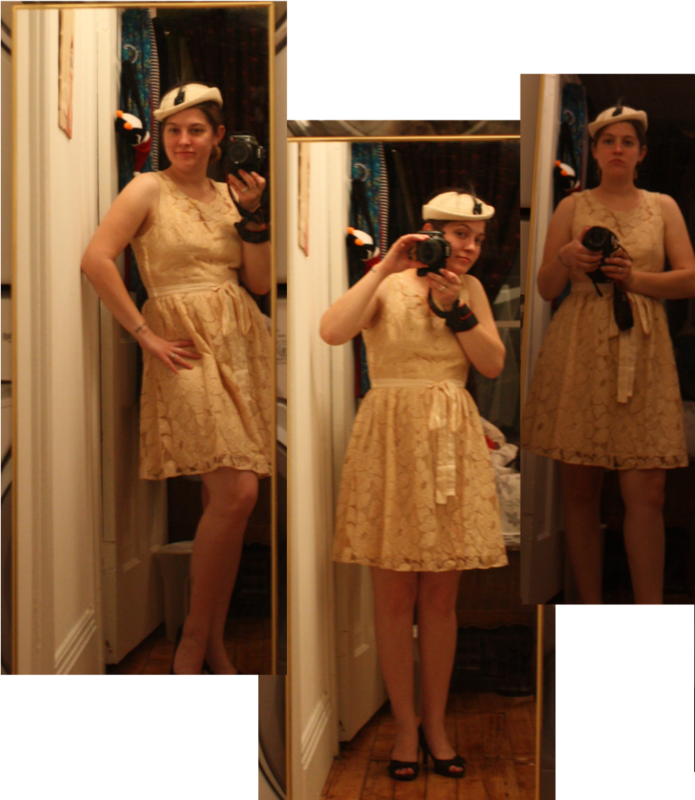 The first is that this dress absolutely goes with the hat! It's perfect for the era and vintage of the hat. The second reason is the price tag. This dress came out to $78. It's $100 less than the first dress (considering shipping and all) and $40-60 less than anything I would have bought at Anthropologie. Considering that I made around $110 from selling 3 paintings at the gallery opening, this works out perfectly! 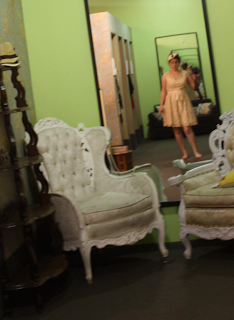 =) I just have to remember one thing while wearing the dress... keep a good posture! Slouching makes the dress look frumpy and unflattering. Ever try on a dress that you didn't think was just perfect to find that it's the right one at the right price?